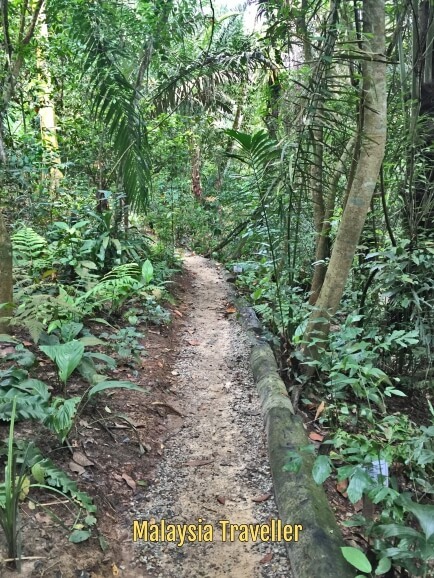 Visit Taman Tugu Forest Trail for an invigorating and educational family hike amid lush jungle vegetation in the heart of the city. 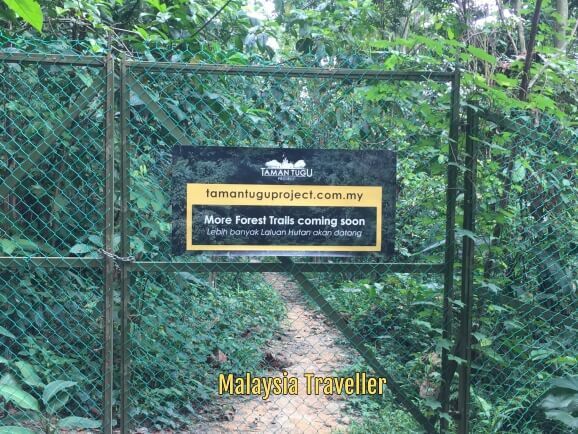 Taman Tugu is a welcome addition to KL's green spaces which are under constant threat from urban development. 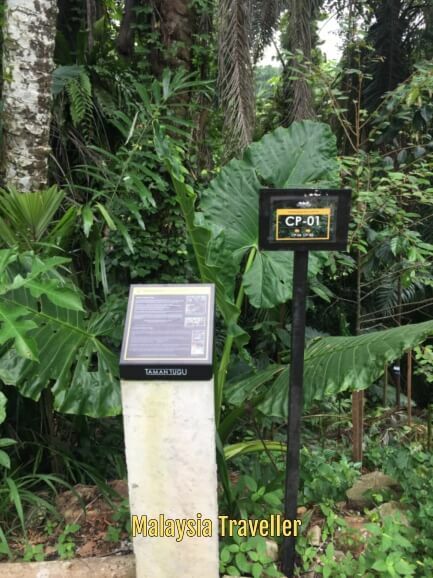 The park opened in September 2018 with the aim of conserving a 66-acre green-lung in the middle of Kuala Lumpur and turning it into an urban forest park open to the public. Currently there are 2 kms of forest trails on a 20 acre portion of the site and this will be expanded in due course. Another 20 acres are scheduled to open in December 2018. 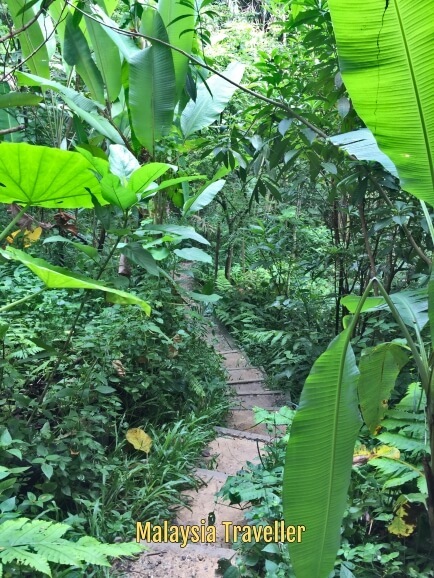 There is a maze of trails around the park and it will take to about 45 minutes to see it all. There are some steps and gentle slopes for a reasonable workout. The paths are well marked and sign-posted so even if you get temporarily lost you won't go far wrong. There are a few benches around, sensibly constructed from termite-proof concrete, in case you need a rest or just want to slow down to observe your surroundings. There are also swings and an observation tower. 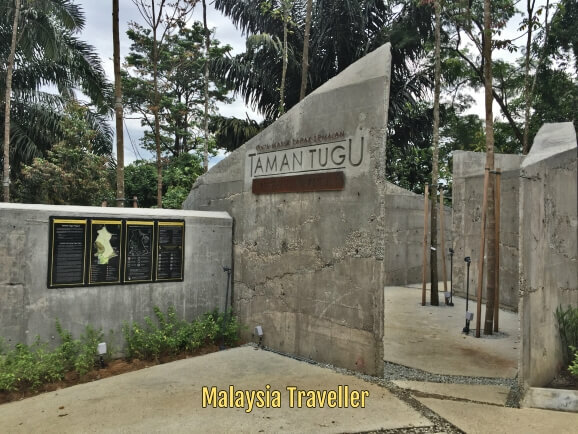 Back in the 1930s the Taman Tugu site was home to a number of bungalows occupied by British and local officers working for the Department of Agriculture. Many of the residents beautified their gardens with exotic and ornamental planting including palm oil trees imported from West Africa. 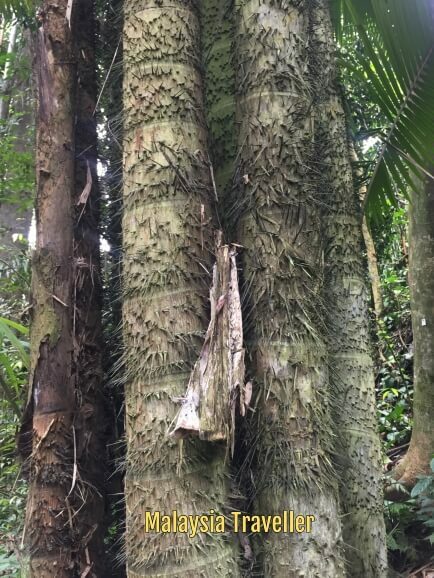 Some of these trees and plants are still here. After Independence the site housed the residences of a number of senior government officials but they were abandoned in the 1970s and the area became an illegal dumping ground for rubbish and construction waste which had to be cleared away and recycled in order for the park to be opened. 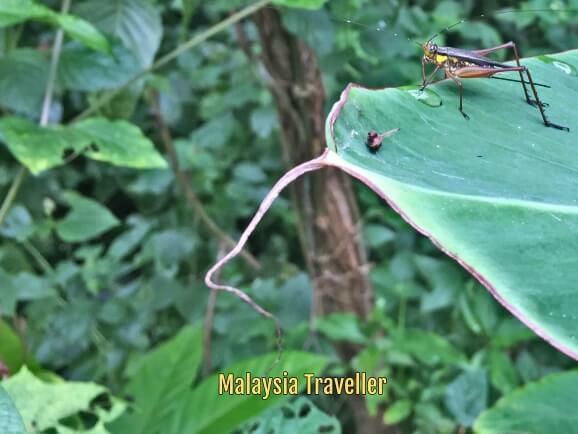 There were proposals to redevelop the site but fortunately greed did not succeed on this occasion and with the backing of Khazanah and the support of Malaysian Nature Society, FRIM and others Taman Tugu has been saved, hopefully forever, as a public park. Some 4,000 trees are being planted here, added to the existing 1,000 or so trees identified as worthy of conservation. 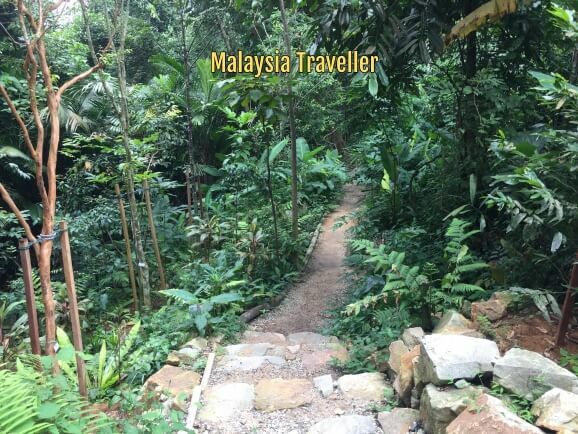 The result is lush foliage, more dense and varied than you see in many other urban parks and forest reserves around KL. Many of the trees have been labelled and descriptions provided giving details of their features, habitat and usage. 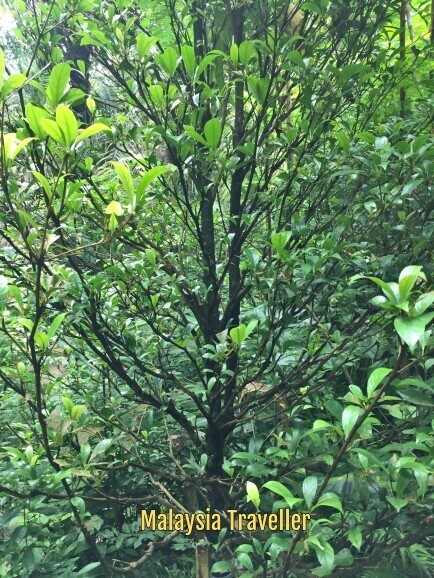 For example this Setambun tree (baccaurea parviflora) with edible fruits has been planted to attract birds, squirrels and monkeys to Taman Tugu. 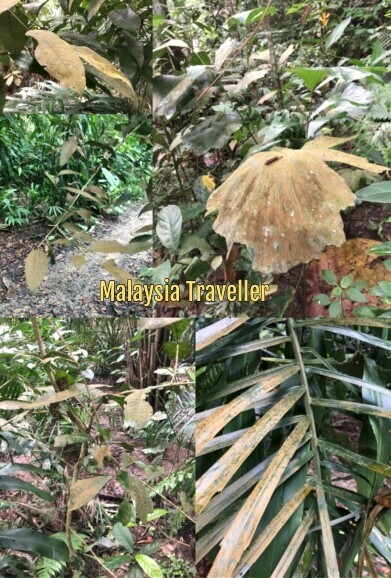 I noticed that a lot of the foliage, of various species, has a yellow-brown stain to the upward facing side, while the underneath of the leaves looks the normal green. I wonder what the reason is? 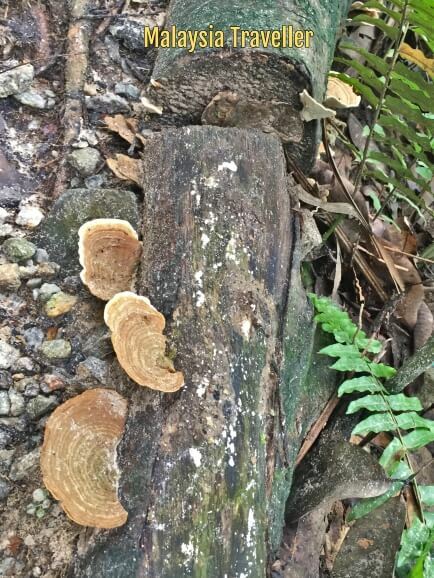 A fungal disease perhaps? If so, you would expect the underside of the leaves to be stained too. Or some kind of nutrient deficiency or pollution in the soil? Possible - we know the site was used as a dumping ground. Or maybe acid rain? That might explain why only the top of the leaves are stained and the park is surrounded by busy highways spewing out noxious fumes. Perhaps somebody knowledgeable might know the answer. Nice logo. I've seen that kind of design somewhere. Oh yes, now I remember. Open every day from 7 am to 6.30 pm. Admission Fee: Entrance is Free. 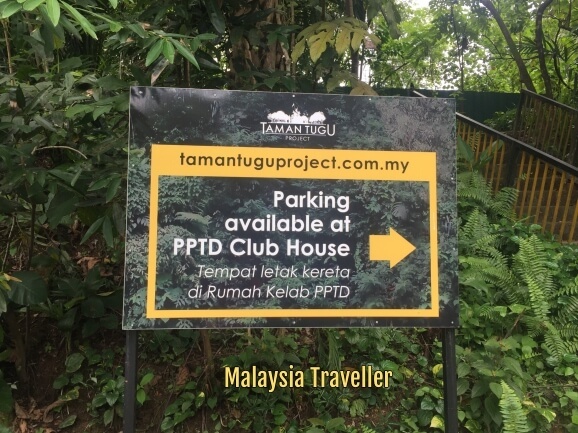 Apparently you can park at the PPTD Club House next door.